Anatomy of a Hip Lift - Shakti Wellness Studio - Belfast, UK - Yoga, Bellydancing & Lots more! I personally think that there is a lot missing in the world of belly dancing stuff in regards to information about its benefits and importance for the women’s health, for example you can find lots of researches and articles that talk about the benefits & anatomy of Yoga positions or even Pilates movements but you won’t find the same amount of information about belly dancing. So I researched and found this article that I would like to share, hope you enjoy! 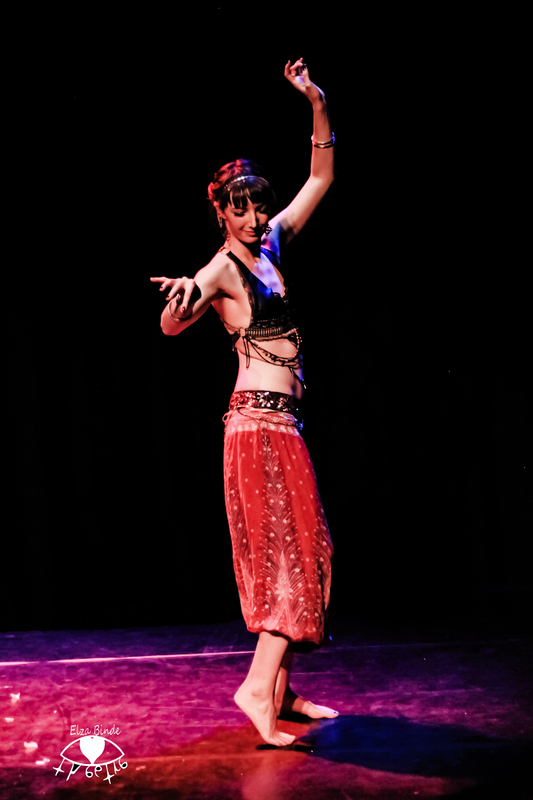 The “hip lift” is one of the most well-known and fundamental of our Middle Eastern dance movement repertoire. A movement in its own right, the hip lift forms part of the traveling step sometimes known as the “Arabic Basic” step and one that also prepares our bodies for other more complex movements such as the hip drop, Zohair Zeki lateral slide and locks. Hip lifts help to strengthen our hip, thigh abdominal oblique muscles and allow our bodies to execute such as hiking. Looser hips (if that is a benefit) help us… Can you summarize here how the hip lift affects our stability, endurance, flexibility? To begin with, it is important to understand the location and action of some of the main hip and thigh muscles, which are used in a “hip lift”. There are three gluteal muscles. The best know is the large gluteus maximums, which is more commonly called the buttock. It runs from the sacrum and the middle portion of the back of the pelvic ilium bone and then down to the bump on the widest part of the hip (top of the thigh bone). Its main action is to straighten the thigh when it is flexed at the hip joint. The smaller lateral gluteus mediums and minimums muscles run from this same bump up to the highest part of the ilium. These two muscles open the thigh to the side (abduction) with a concentric contraction or keep the pelvis level when standing on one foot when contracting eccentrically. (the word is eccentric with one c and means a lengthening contraction. All of these terms were covered in the sidebar from my first article. What does eccentrically mean here? Can you explain for a lay audience? Would you prefer to have a sidebar that defines terms? This action is the opposite to a large group of muscles called the Abductors that we briefly discussed in the last article. These run from the pubic bone and “sit” bone down to the inside of the thigh. They bring the thighs together (abduction) when they contract concentrically. The large quadriceps muscles are located on the front of the thigh and they straighten the knee, while the hamstrings, at the back of the thigh, flex the knee and extend the hip. There are several different kinds of hip lifts, all of which benefit our bodies. There is a forward/diagonal variation of the hip lift, which is performed by pressing the ball of the foot against the floor to lift the hip on the same side. The weight of the body rests on one foot (right), while the hip relaxes and stretches the (right) gluteus mediums and minimums muscles. The ball of the other (left) foot is placed 2-3 inches in front of and slightly beside the first, then is gently pressed into the floor, as the left quadriceps shortens in a concentric contraction to straighten the knee. At the same time, the (right) gluteus mediums and minimums will also contract concentrically to tilt the pelvis back to neutral and slightly lateral to the left. At the same time, the (left) gluteus maximums contracts to press the left side of the pelvis and the hip forward, while most of the weight remains on the right foot. Gravity will suffice to let the hip drop back down to its starting position. How does the human body benefit from this activity? Greater hip stability during walking. In order to add a slight rotational twist to this movement, the left external oblique (see article #1) and left abductors contract concentrically to twist the left hip slightly forward and inward. How does this variation on the movement help us condition our bodies? It develops the abdominal obliques for a more toned waistline and to help guard against lower back problems. For a playful “beledi” or “saidi” interpretation the quadriceps contract to straighten the knees and lift the entire body slightly on every beat. How do we benefit (strength, flexibility etc.) from this special movement? We learn how to relax, have fun and play with our movements, but that might be stretching things a bit. The knee straightening action of the quadriceps is refined by adding a contraction of the abductors on the same side. Any special strengthening or other benefits? Sacrum: Large triangular bone at the base of the spine, between the two sides of the pelvic and hip bones. It is the center of the body’s gravity and transmits the weight of the torso through to the legs. Ilium bone: Large arched shaped pelvic bones that run from the waistline down to the sit bones in the back and pubic bones in the front. Eccentric muscle contraction: Lengthening contraction used to control the rate and texture of a movement. Concentric muscle contraction: Shortening contraction of the muscle, considered its principal function. Abductor muscle: The muscles of the inner thigh.